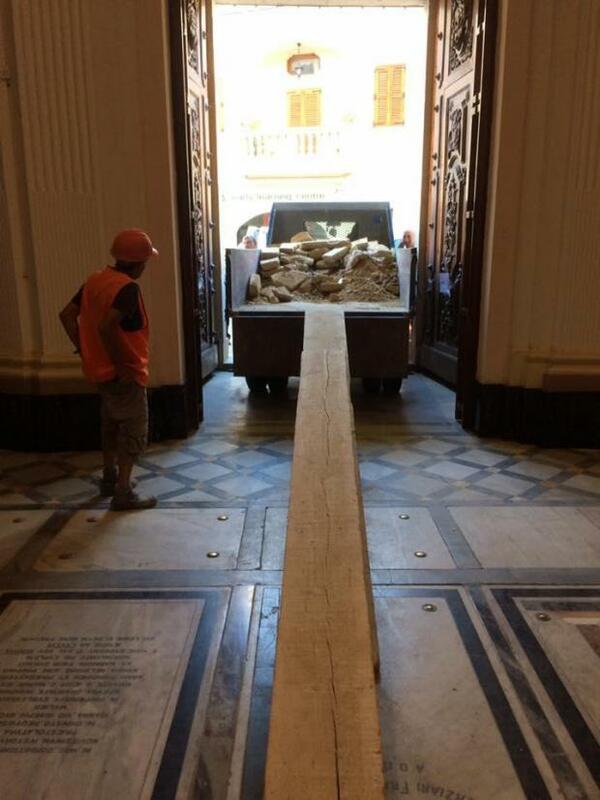 Roof membrane has been removed from Ta' Gieżu church in Rabat, revealing the extent of yesterday's partial roof collapse. Meanwhile, removal of the tons of debris which rained down on the altar in yesterday's cave-in is proceeding at a fast pace, with volunteers being assisted by government workers. 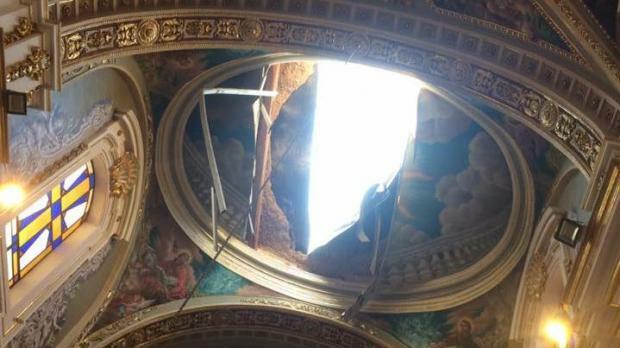 The Franciscan Fathers said a temporary roof will be installed to prevent further damage, while plans are made for permanent repairs which will include a dome, which was in the original plans of the church. The church is closed for worship, but people can use the side door for mass at the Oratory of St Joseph. Mass of thanksgiving was held yesterday, in gratitude for the fact that no one was hurt in the night-time roof collapse. The rector, Anthony Casha, presented €1,000 to the Franciscan fathers for the Emergency Fund, set up within hours of the collapse. The government yesterday was among the first to offer financial help, and the rebuilding project will benefit from the Good Causes Fund. The prime minister also invited the archbishop to list churches which might need assistance to avoid a repeat of the collapse. 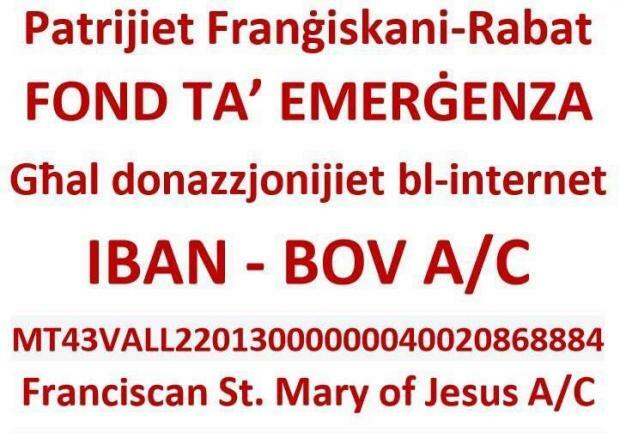 The Saint Mary parish church in Birkirkara was quick to react, expressing concern that an incident similar to that which happened in Rabat yesterday was waiting to happen there too. In a statement, the parish church appealed to the authorities for help, insisting that the “architectural gem” needed urgent attention. “While our church is continuously monitored, it is a fact that the existing damage has worsened over the years,” the statement read. Large sums of money are needed, and the parish church pointed out it was impossible for the expenses to be covered without assistance, calling on both the government and the Church to address the issue. Yesterday's collapse is believed to have been caused by rot which caused two centuries old wooden beams to give way. Rabat's large number of NGO's were also reacting quickly yesterday, making initial donations and starting the organising of new fund-raising events.